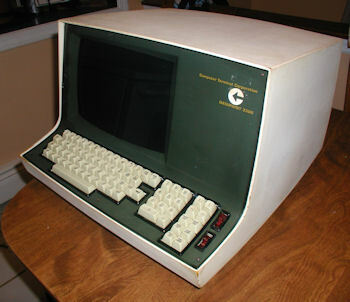 The Computer Terminal Corp. DataPoint 3300 after cosmetic restoration work completed. This is the first glass terminal first produced by CTC in 1969 (after being announced in 1967). 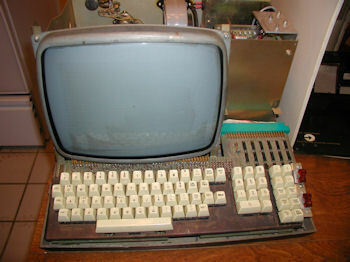 The 3300 was a play on the ASR 33, which is what this machine was designed to replace. 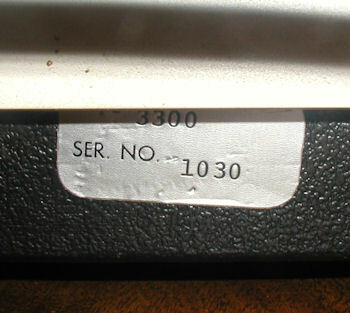 The serial number sticker says 1030. Click image for larger view. System after cleaning. The terminal was in pretty bad shape (evidence of rodents on the keyboard), but fortunately there was no rodent nests inside. 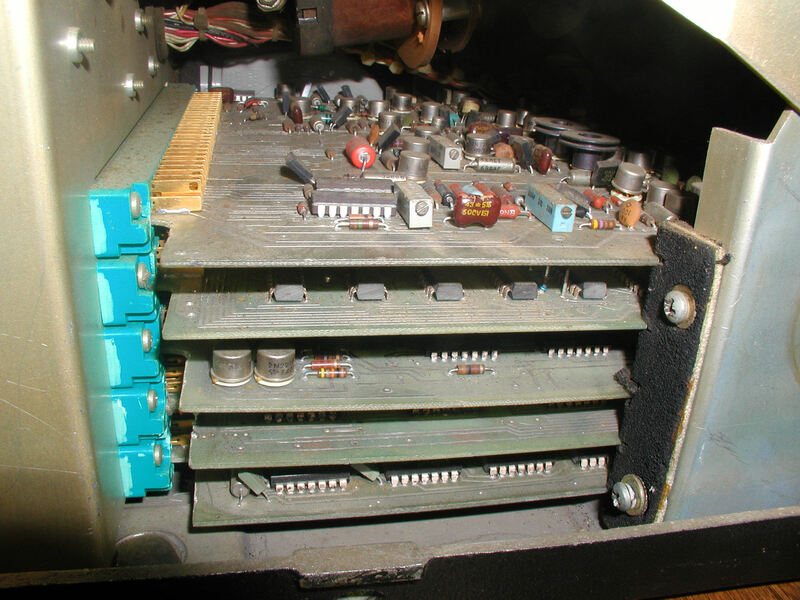 First, the cover was removed and disassembled. The dust therein was blown out on the porch outside. 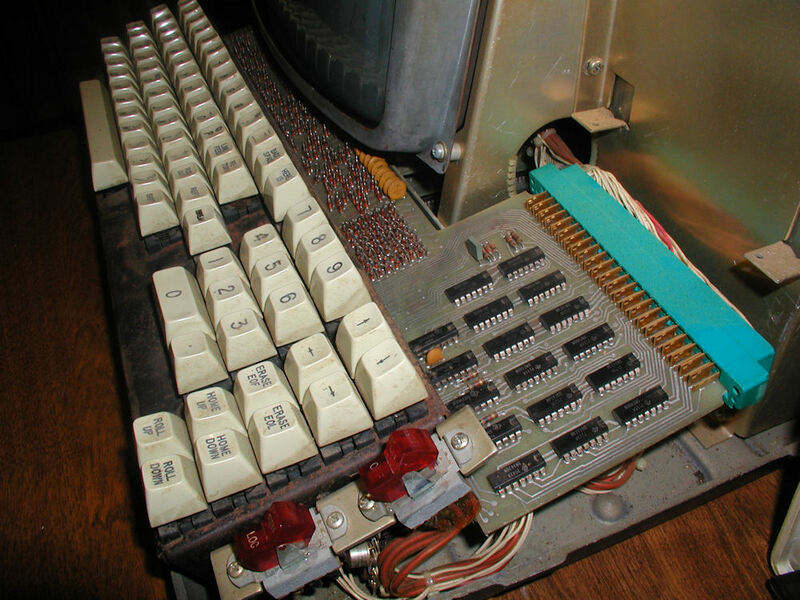 Each key and the underside of the keyboard was cleaned thoroughly. Click image for larger view. 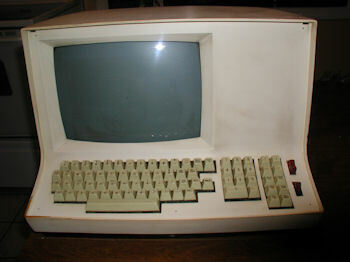 Here is a picture of the terminal with the front bezel removed. Click image for larger view. Rear ports of the DataPoint 3300 terminal. This was a very early glass terminal, most terminals in the late 1960's were paper. The max baud rate is 2400, but there are a lot of choices - this terminal emulated the teletype speeds. Click image for larger view. 1) The fuse was missing so I installed a new one. 2) The keys all work (! 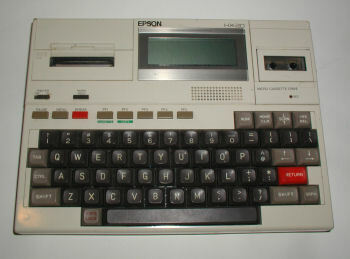 ), but when a key is pressed the key repeats until BREAK is pressed. 3) The screen prompt is not always visible, but the CRT itself is OK. There is a logic problem or an A/D problem preventing the characters to be written to the screen. If you flip on and off a few times, you can get the characters to be visible. 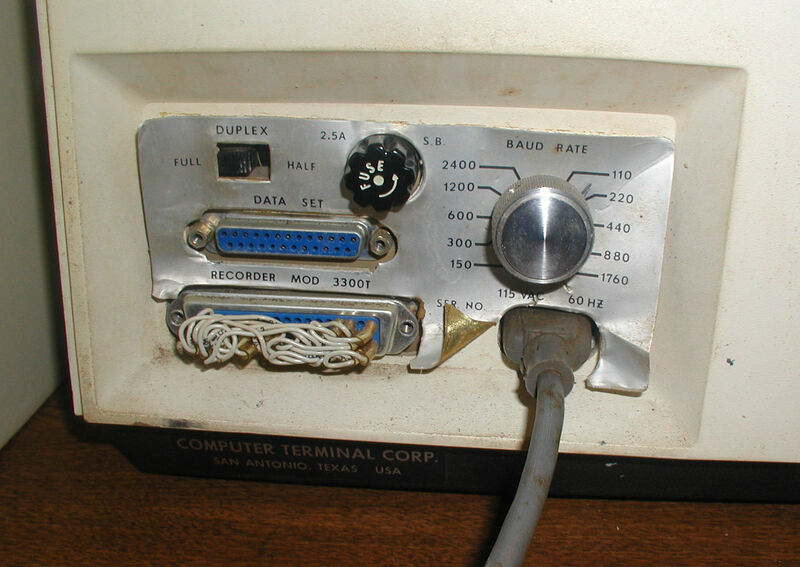 4) The baud rate select is loose, I had to use a plyers to turn the post with the knob removed. 5) The REM/LOC switch works. I was able to determine the 2400 baud rate setting by the speed in which characters were written to the screen when printing repeatedly. I need to disassemble the four logic boards from the chassis and clean them. I need to also remove and clean the keyboard logic board. Perhaps a good cleaning will restore the system to proper function?? Hey, we can hope! I need to test the caps and the power supply.